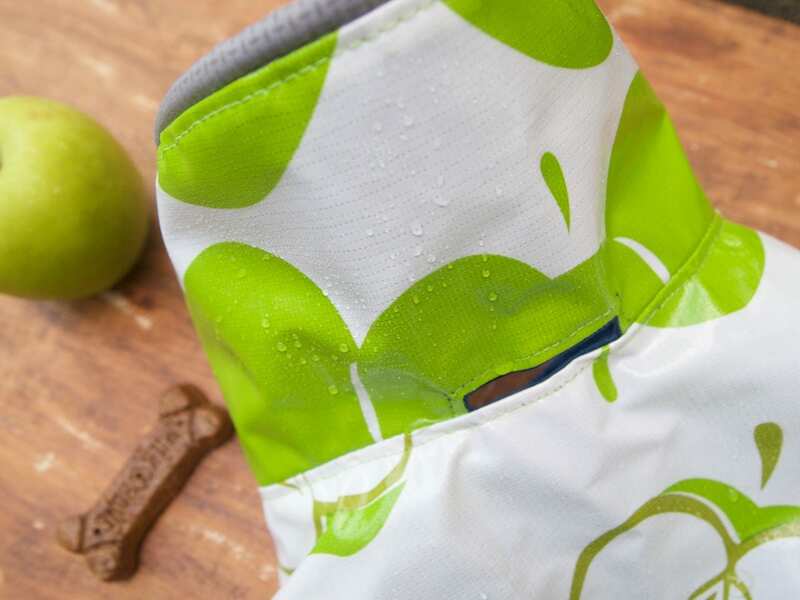 Green Apple Dog Raincoat, you choose fleece or cotton lining! 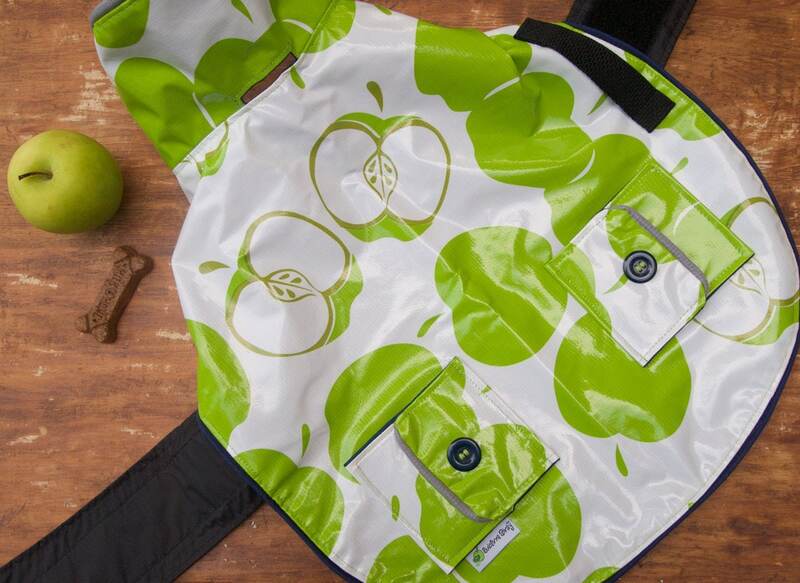 What a cheerful way to keep the rain drops away with your fur pal! 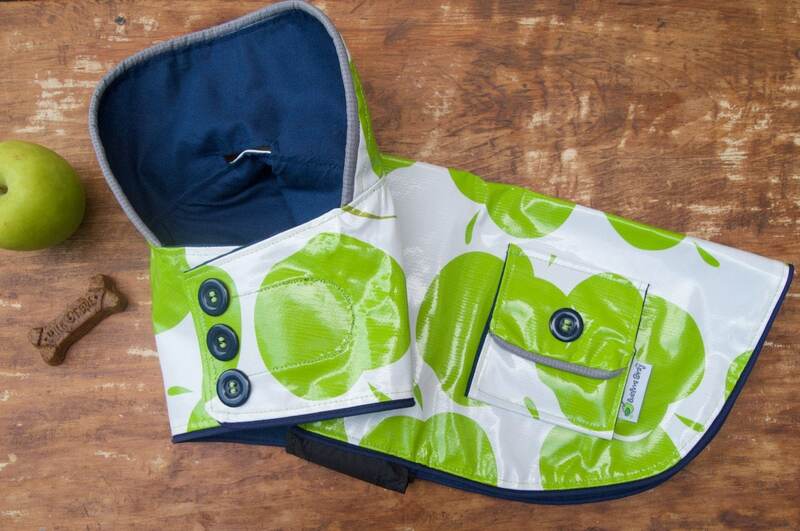 This Green Apple Dog Raincoat is made with a waterproof oilcloth material for the outer shell and a handsome blue linen fabric for the liner. Make this coat warmer by choosing navy blue fleece for the lining. 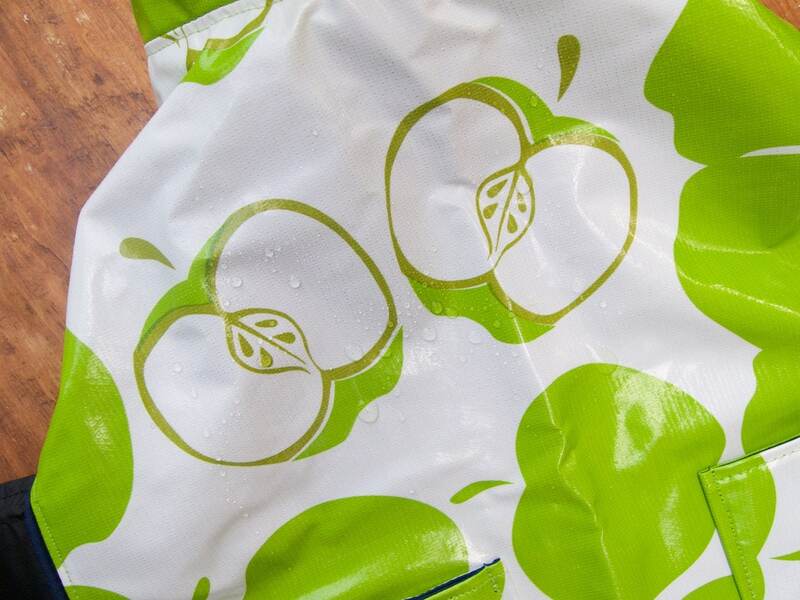 Oilcloth is vinyl on a cotton mesh base and is very durable! 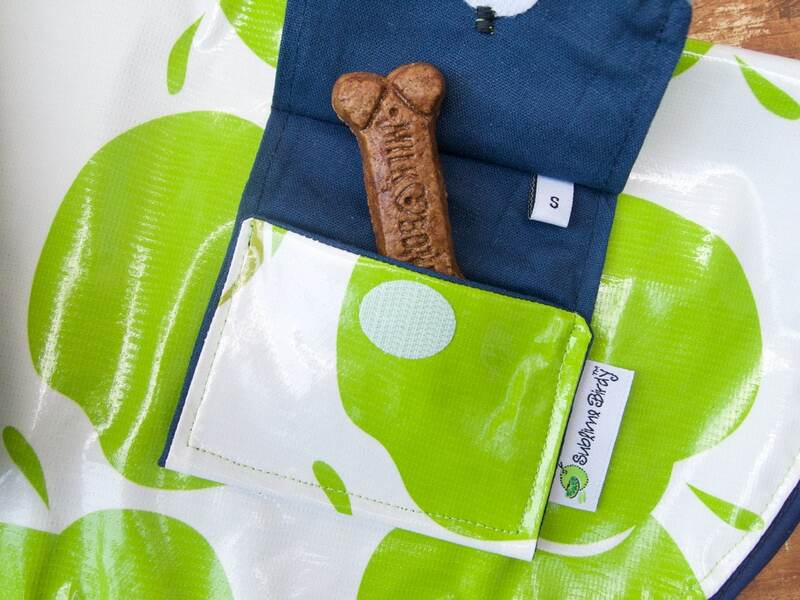 If you don't know your dogs measurements you can easily measure each size aspect A, B, and C. With a measuring tape for A, measure your dogs body length from base of neck to back above the tail. For measurement B measure from center of the spine down the side of the dog as far as you would like the coat to go. And finally to get measurement C, the girth, measure around the belly of the dog at the central point. Need a different size? Convo me I can make one for your dogs measurements. Simply wipe coat dry to clean. 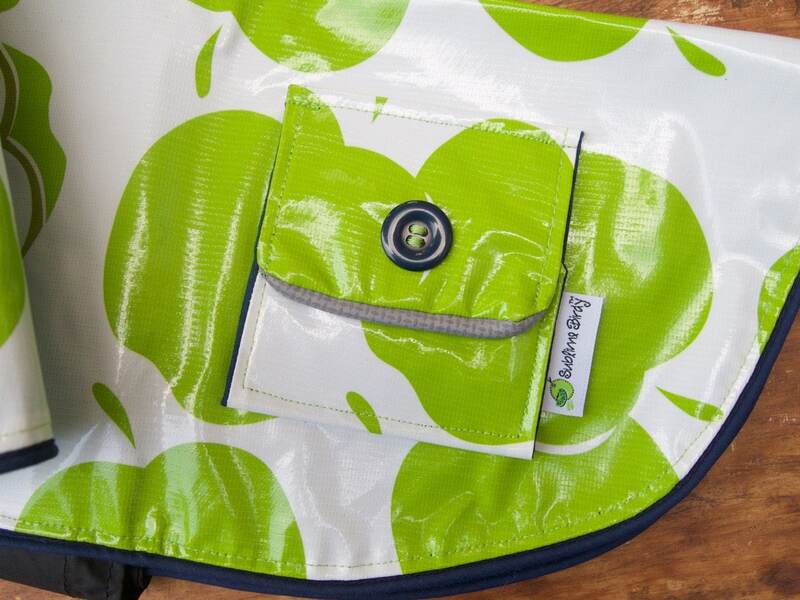 I do not recommend use of a dryer on this item due to the oilcloth and to keep reflective qualities nice and bright. Coat may be lightly ironed on the lining side to remove any wrinkles on slicker side. Ordered size small for my 7 months old French bulldog girl. It fits her 20” chest, 14” body length perfectly and it is extremely well made! 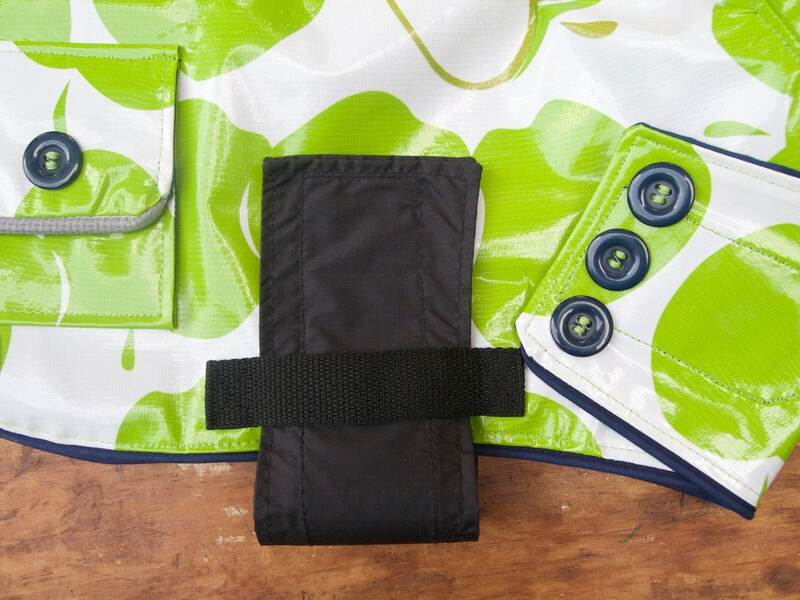 I asked for red cotton lining instead of navy blue and the collar and the Velcro belt that faces the element is done in matching red waterproof material! Very thoughtful. Thank you so much! Love it!! Thank you, really nice quality!